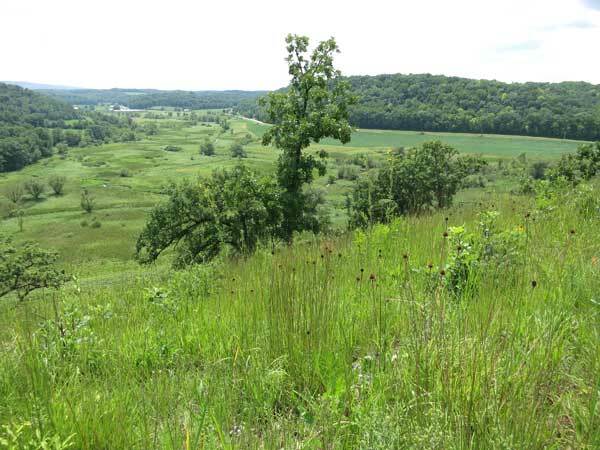 Tom's Blog: How long does it really take to get rid of invasive brush? 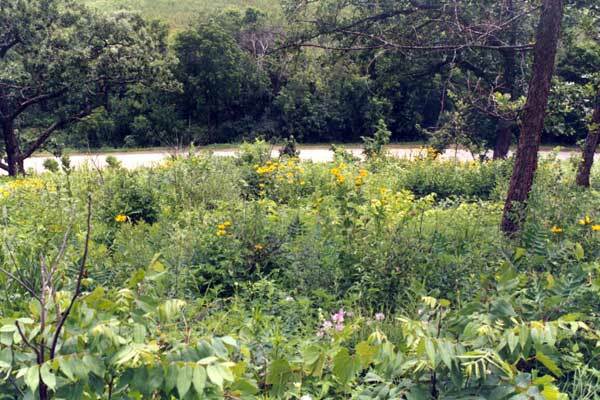 How long does it really take to get rid of invasive brush? We first cleared the South Slope of Pleasant Valley Conservancy in 1998-1999. We instituted an annual burn program almost immediately, although some of the areas were hard to burn (not enough fuel). Also, lots of brush that had been suppressed because of the deep shade popped up almost immediately. Brambles, buckthorn, and honeysuckle were the worst, although sumac was bad in some areas. The annual burns kept the shrubs fairly small, but did not eradicate them. We kept cutting and treating, and burning and burning. The second photo was taken last summer from almost the same location. What a difference! Visible in the photo are Echinacea pallida and Silphium lacinatum. And of course, prairie grasses to carry a fire. View from the same location at the end of July 2018. All the woodies visible are bur oaks! The moral of this story? The restoration ecologist needs patience!